Television is the end product of a signal produced by a stream of electrons impacting on the phosphors of a cathode ray tube. This relatively simple device also happens to be the worst thing to have ever happened to the human race's intelligence. Well, until the Internet that is. Television also makes you think images are moving. Televisions contain high levels of drugs that wirelessly and invisibly go into your body orally - that's how you think the pictures move. The actual picture on a television screen is actually simply black with nothing. This has been considered by scientists as to why many children and teenagers are addicted to watching television; there are many bright colours in children's programmes, and bright colours can cause double levels of the "Teledrug" (the top secret, classified mixture of drugs in a TV set) to feed into the children's brains, so as they are mesmerised by the drugs, more feeds into their tiny little brains. This is said to be why levels of children with Autism are increasing. It has been understood for decades by the PR industry that what you see on television is unimportant. What really matters is what you think you see. Actually, what really, really matters is what the PR industry wants you to think you see. But what really, really, really matters most is what the PR Industry thinks they want you to think you see. You see? The medium of television became the Rorschach for which all viewers pin their hopes, their anxieties, their loves, their hatreds, their perceptions and biases, all because a bunch of electrons just assembled themselves on their viewing screens in ways that pleased them, saddended them, entertained them, or frustrated them. Their frontal lobes try to make sense of the meaningless assembly of electrons, and voila! People think they're watching a meaningful TV program. For a moment, their empty lives are filled with emotional stimulation, some laughter, and the odd bit of knowledge. But in reality, their lives are still empty after they turn off the power switch; and the entire experience never really existed. It is well known that television is a device used for social engineering. While it is said that a capitalist can sell you the noose to hang himself with, it is through Television that a need is created to sell you the privelage of hanging the salesman by a noose. Discipline can even be extracted from people by actually refusing to sell them said noose. This creates a sense of snob appeal for hanging the salesman which increases demand, establishes product loyalty, and increases customer satisfaction. Monty Python's The Life of Brian depicted a saviour named Brian who washed the multitudes of their sins. It has been said, mostly by promotors of television, that TV itself has similar purgative effects on the soul through the process of "Brian Washing", giving television the impetus to Brian-wash the minds of the great unwashed masses. Promotors feel that television should play the role of saviour, redeemer, and Prince of Peace in the lives of the wretched multitudes placed before it. People should say the Rosary to Saint Oprah, Mother of Brian; they should humble themselves before rememberance of the Joyful Mysteries when Oprah begat Brian by way of virgin birth; the Sorrowful Mystery of the death of Brian on the wooden cross as he sang "Always Look on The Bright Side of Life", and the Glorious Mystery of Brian's assumption into heaven as he is immortalized on TV re-runs. Some philosophers have taken the view of Heidegger, who teaches that television, similar but not totally unlike language, lives. It is advised that one visits his or her local pest-control center to take appropriate measures against them. According to language theorist Laurie Anderson, "language is a virus," and thus is subjeect to pest control measures. Another famous pop culture theorist, Marshall McLuhan, once stated cryptically that "The medium is the message", referring mostly to television. But it must be admitted that if a bunch of electrons are randomly lighting up phosphors in ways that mess up our cognitive skills, then it must be admitted that in the best of all realities, that is to say, in this reality, as opposed to every other reality, that the medium conveys no message, and that the only real message is that the medium itself conveys no message, and that television viewers are the ones with the problem, and are in need of help. 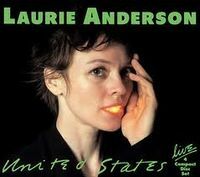 Since the passing of Martin Heidigger and Marshall McLuhan and the fact that recently Laurie Anderson began playing a real violin, other pop culture theorists have come to the fore to comment on television, such as Homer Simpson and that Family Guy. Television is part of Uncyclopedia's series on Mass Media. This page was last edited on 22 April 2017, at 05:58.